Search Party can only be described as a black comedy where some obsessed 20-somethings attempt to find someone missing. No cable? Watch Search Party online. Search Party is not currently being shown on TBS, but it is available to watch on demand. People love Search Party, and for good reason. Widely considered one of the better breakout shows in recent years, the dark comedy follows Dory (played by Alia Shawkat) and her group of friends as they attempt to solve the mystery of their friend’s disappearance. If you’re a fan of this modern-day-Nancy-Drew-turned-Brooklyn-hipster series, it’s essential that you get a streaming service that offers the best possible TBS streaming experience. Search Party isn’t currently available on every streaming platform, even if they offer TBS, but we know for sure PlayStation Vue has Search Party available on demand.  We recommend PlayStation Vue above other options because of its user-friendly interface and smooth streaming quality. Unlike Hulu with Live TV, PlayStation Vue’s guide is intuitive, making it easy to find the shows and channels you’re looking for. You’ll also rarely have to deal with buffering, poor resolution, and other issues you frequently encounter while using Sling TV. Can’t have lags getting between you and Shawkat’s gritty humor. Price $40/mo. $35/mo. $39.99/mo. $39.99/mo. $20/mo. $5.99/mo. $44.99/mo.